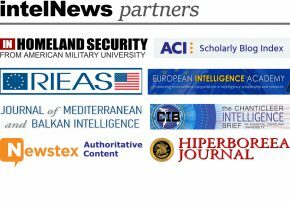 Since 2008, when we launched intelNews, it has been our end-of-the-year tradition to take a look back and highlight what we think were the most important intelligence-related stories of the past 12 months. In anticipation of what 2017 may bring in this highly volatile field, we present you with our selection of the top spy stories of 2016. They are listed below in reverse order of significance. This is part two in a two-part series; you can access part one here. 5. Turkey’s intelligence agency wins the 2016 ‘clueless’ award. It seems everyone predicted the July 15 coup in Turkey, except its spy agency. Unlike countless political analysts in Turkey and abroad, who have been warning about a possible coup as early as October 2015, Turkey’s National Intelligence Organization (MİT) was caught in the dark. So unprepared was the agency, that it was unable to defend its headquarters in Ankara from an attack on the morning of July 16 by military helicopters. Meanwhile, dozens of Turkish nationals with diplomatic passports have been applying for political asylum in Germany and elsewhere since the coup. How many of those are MİT personnel, one wonders? 4. Panama papers leak shows immense extent of global financial crime. This year saw the unauthorized release of the Panama Papers, 11.5 million leaked documents that represent history’s largest leak. The documents were leaked form the vaults of the secretive Panamanian law firm Mossack Fonseca, and reveal secret information relating to over 200,000 offshore entities. This website opined at the time that the Panama Papers reveal the enormous extent of tax evasion and money laundering on a worldwide scale, which now directly threatens the very survival of the postwar welfare state. National intelligence agencies must begin to view offshore tax evasion as an existential threat to the security of organized government and need to augment their economic role as part of their overall mission to protect and secure law-abiding citizens. 3. Nuclear power plant computers found to be infected with viruses. In April, the computers of Gundremmingen, a nuclear power plant in southern Germany, were found to be infected with computer viruses that are designed to steal files and provide attackers with remote control of the system. The power plant is located in Germany’s southern district of Günzburg, about 75 miles northwest of the city of Munich. It is owned and operated by RWE AG, Germany’s second-largest electricity producer. RWE AG insisted that the malware did not pose a threat to the nuclear power plant’s computer systems, because the facility is not connected to the Internet. But there was no explanation of how the viruses found their way into the nuclear power plant’s systems in the first place. 2. German intelligence accuses Russia of pretending to be ISIS online. In June, a German intelligence report alleged that the so-called ‘Cyber Caliphate’, the online hacker wing of the Islamic State, is in fact a Russian front, ingeniously conceived to permit Moscow to hack Western targets without retaliation. The Cyber Caliphate first appeared in early 2014, purporting to operate as the online wing of ISIS. Now, however, a German intelligence report claims that the Cyber Caliphate is in fact a project of APT28 (also known as ‘Pawn Storm’), a notorious Russian hacking collective with close ties to Russian intelligence. The findings of the German intelligence report echo previous assessments by French and American authorities. 1. Intelligence features heavily in domestic US politics. Many, including this website, saw last week’s expulsion of 35 Russian diplomats by US President Barack Obama as a move directed “more towoard domestic American politics than foreign policy”. The expulsion aimed to expose Moscow’s alleged campaign of interference in the 2016 US Presidential elections. But another of its goals was to force president-elect Donald Trump, seen widely as a Russo-file, to take sides. Russian President Vladimir Putin responded by saying Moscow “reserves the right” to retaliate, but would not do so at this point. The Russian response was unexpected and highly uncharacteristic, an important reminder of the uncharted waters that US politics –and US-Russian relations– have entered in 2016. Still, it is remarkable to see the president-elect of the US effectively side with the Kremlin and not with his own country’s Intelligence Community. If nothing more, 2017 promises to be exceedingly interesting from an intelligence point of view. This is part two in a two-part series; you can access part I here.